Inspired by the mandatory voting in countries such as Belgium, Brazil, Argentina and Australia, a PIL petitioner, Satya Prakash, had approached the Supreme Court in 2014 seeking directions to the Election Commission and the Central Government, to take steps and frame necessary guidelines to ensure larger participation of voters in the elections. On September 30, his petition came up for hearing before the bench of the Chief Justice TS Thakur and Justice A.M.Khanwilkar. After hearing the advocate for the petitioner, Vishwa Pal Singh, the bench took note of the counter affidavit filed by the Election Commission in the case. The bench asked Additional Solicitor General, P.S.Patwalia to file a counter affidavit on behalf of the Central Government, after granting him six weeks time for the purpose. The bench also asked the petitioner to file any rejoinder affidavit, within four weeks thereafter. In its counter affidavit in the case, the Election Commission has contended that though the right to vote is a statutory right, the decision taken by a voter after verifying the credentials of the candidate either to vote or not is his right of expression under Article 19(1)(a) of the Constitution. Later the Supreme Court has expanded this right to vote to also include the right not to vote. Citing Section 79(d) of the Representation of the People Act, 1951 and Section 171A of the IPC, the E.C. submitted that the electoral right of a citizen/person includes both the right to vote as well as the right to refrain from voting at an election. The E.C. has also pointed out that the duty to vote has not been included in the list of fundamental duties provided under Article 51A of the Constitution, which was added to the Constitution by the 42nd Amendment Act, 1976. The E.C. has further observed that if the duty to vote in all Parliamentary and State Legislative elections has to be included in the list of fundamental duties under Article 51A , then the same would have to be enforced by way of a Constitutional Amendment and no less. The E.C. has described the petitioner’s plea for guidelines for an effective election process, as vague. The E.C. claimed that it has, on its own accord, been carrying out various activities under the banner of the Systematic Voters’ Education and Electoral Participation (SVEEP), which includes a range of policy initiatives, programmes and activities to increase people’s participation in the electoral process of India. The E.C. has revealed that the voter turnout for the Lok Sabha elections in 2014 stood at a record high of 66.4 per cent as against 58.19 per cent in 2009 due to its initiatives. The E.C., therefore, claimed that it can only create awareness amongst the electors and facilitate voting by them; the ultimate choice as to whether to cast their votes or not rests with the electors alone. The E.C. has also pointed to the absence of any statutory requirement for mandatory voting in the elections, which can be legislated only by Parliament. The Central Government, in its affidavit, is likely to clarify whether there is scope to statutorily require mandatory voting in the elections, and thus ensure increased participation of voters in the electoral process. As the E.C. 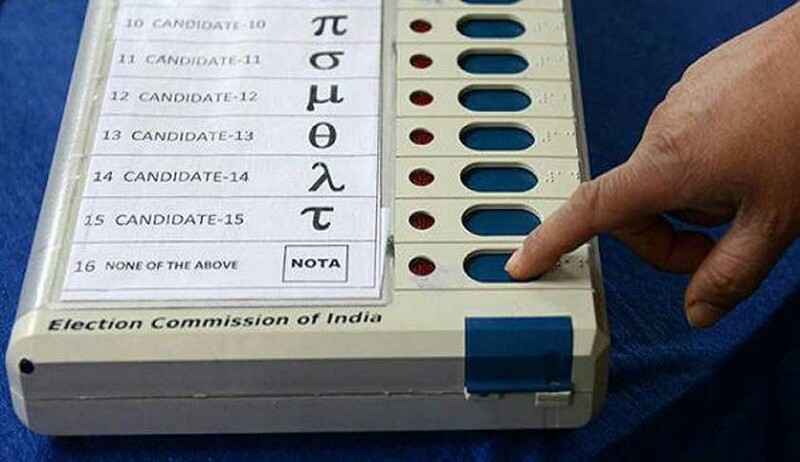 has already introduced the option of NOTA (None of the above) to the voters, to reject all the contesting candidates in an election, it is pointed out that the right not to vote has lost its significance. The option of NOTA is guaranteed to voters, if they have to mandatorily vote in an election, and still express their lack of confidence in any contesting candidates. The Court has adjourned the case to December 16, when it is likely to begin detailed hearing in this case. Read the Counter Affidavit by ECI here.